How To Do Property Lease Options Deals In London Or Anywhere! The Queen Of Lease Options! Reena Malra – The Queen of Lease Options, is offering to share in full a detailed case study of a recent Exchange With Delayed Completion (EDC) Deal or an Instalment Contract, that one of her mentees saw through to completion. Places Available for Reena Malra’s Lease Option Vs Instalment Contract Secrets Revealed Masterclass on 23rd November 2013 at Heathrow airport. Reena would like to offer this great opportunity to find out exactly how her mentee, Vidas, put this fantastic London property deal together! #1 – Vidas would have normally needed to put down a 25% deposit in order to secure this £250,000 (GBP) residential property, which works out at £62,500 (GBP). But instead, all he had to do was pay the vendor’s arrears, which was a mere £8,000 (GBP), and the house was his! #2 – Vidas also inherited 25% of the freehold, as the property had 4 flats in it. 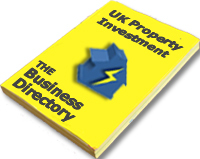 #3 – Upon buying the property, Vidas also inherited a whopping £33,000 (GBP) of equity! #4 – Due to the mortgage payments and the rental figure, Vidas also secured an INSTANT monthly cash flow totalling an incredible £437 (GBP) !! #5 – Finally, Vidas can exercise his option to complete at any time during the next 29 years! Reena believes that all property investors can achieve similar results to her successful students when they know what, how, when, why and where to implement these creative property strategies in order to create some truly cracking property deals. WITHOUT the need for even a simple credit check? WITHOUT the need for ANY previous experience whatsoever! Find out how to do amazing property deals like the one described above for yourself Right Here! Reena Malra is the UK’s leading female creative strategist and has earned her reputation as the undisputed “Queen of Lease Options”, and she has been helping property investors just like you, to make at least a 5-figure income each and every month using her secret underground creative strategies – and the results have been truly spectacular! But crucially for UK property investors who want to expand their property investment strategies, Reena has been persuaded to open the doors again so that more property investors can benefit from using these superb creative strategies! So on Saturday 23rd November 2013 and on the 25th January 2014 Reena will be hosting a special 1-day Property Master Class where she’ll personally be revealing exactly how YOU can duplicate her 7-step Command and Conquer System and bank 5 figure monthly profits yourself! Reena uses this strategy as a stepping stone to secure more lucrative Lease Option deals. The creative strategies being taught by Reena Malra are time-tested and proven to work, and are currently making many of Reena’s student mentees financially free! To book your seat at Reena Malra’s property master class and become one of them yourself, Click Here! Due to Demand…New Location and Second Date Added! This is a genuine golden opportunity for property investors to make a life-changing income from UK property, but you need to register quickly because places are Extremely Limited, and always fill up fast! P.S. – Reena has told us that she will also be giving away 7 incredible bonuses during the event, with a total value of £4,873 (GBP)! – You really don’t want to miss out on these! Reena is able to boast an unprecedented number of success stories all over the UK where her student mentees make big money from the training. So how would you like to be Reena’s next success story? 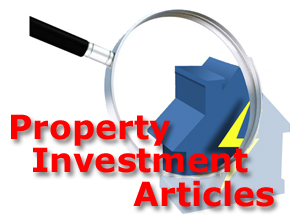 To get on the right path to property profits through Lease Options – GO HERE NOW!